Lenovo A6010, the latest budget smartphone has been officially launched at IFA 2015. Lenovo’s new A6010 comes with 4G LTE connectivity dual SIM support. Not all the specs are known yet. It features Twin speakers with Dolby Atmos sound system. It is powered by 1.2GHz Qualcomm MSM8916 Snapdragon 410 quad core processor coupled with Adreno 306 GPU. It runs on Android 5.0 Lollipop Operating system and has 32GB expandable storage. It comes in two variants, one with 16GB ROM + 2GB RAM and other one with 1GB RAM plus 8GB internal storage. It features 5.0 inch IPS display having 1280 x 720 pixels resolution. It offers 4G LTE, WiFi, Bluetooth, GPS and micro USB connectivity options. It will compete with Lenovo K3 Note, Lenovo A6000 Plus, Yu Yureka, Xiaomi Redmi 2 Prime, Yu Yuphoria and Asus Zenfone 2 laser. The battery capacity and pricing of the phone is unknown yet. We will update the post with more info as soon as something new pops out. In mean time check out another smartphone Lenovo Vibe S1 with dual Selfie Camera. 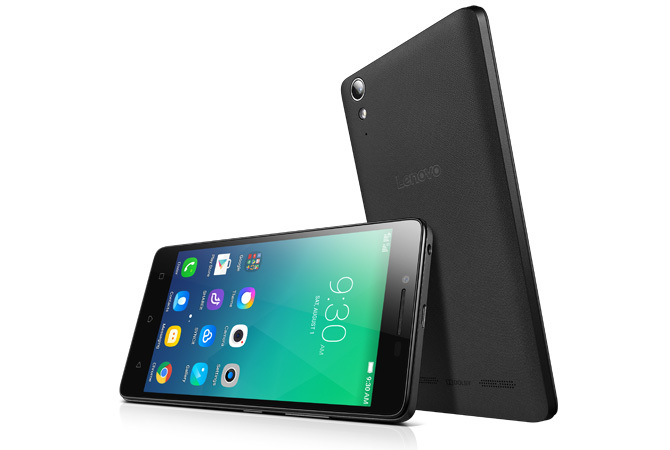 [update] : The Lenovo A6010 packs with 5MP selfie camera and 13MP rear shooter with LED Flash. It is powered by 2300mAh battery. It would hit Indian, Philippines and other markets in between September – October 2015. The pricing of the phone is not revealed yet, but it would be around RS 7000 to 8000.